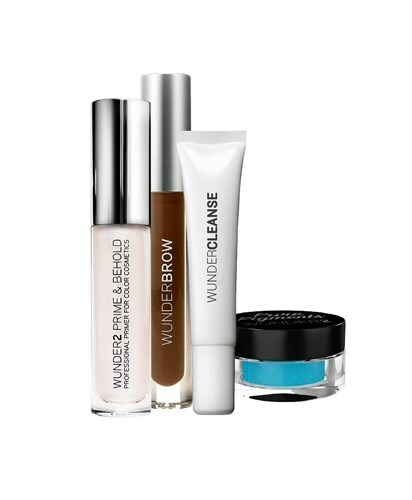 Description Receive 25% discount on this special WUNDER2 PERFECT EYE COMBO & get one of each of WUNDERBROW EYEBROW GEL, PRIME & BEHOLD, PURE PIGMENTS & WUNDERCLEANSE. Instantly define and create a more playful makeup look with our award-winning eye & brow products. Fake fuller brows to frame your face or amp up the drama with a fun color. Here’s how: BROWS Start with a clean, dry brow. Fill sparse spots with WUNDEBROW Eyebrow Gel using short, feathery strokes. Soften and distribute by grooming brow upwards and outwards with spoolie brush. Reapply product if more coverage is needed. Use WUNDERCLEANSE to remove WUNDERBROW. EYES Begin by applying PRIME & BEHOLD to your eyelid and use the wand to blend product out. Use your PURE PIGMENTS on top and for a waterproof & smudge-proof eyeshadow look that lasts up to 24-hours.